﻿ Hotel Bac Saint-Germain Paris. JIMAT di Agoda.com! Ada soalan mengenai Hotel Bac Saint-Germain? Direka untuk kedua-dua tujuan perniagaan dan percutian, Hotel Bac Saint-Germain terletak di lokasi strategik di Ke-7 - Tour Eiffel - Invalides; salah satu kawasan yang paling popular di bandar tersebut. Terletak 1 km dari keseronokan bandar, hotel 3-bintang ini terletak di lokasi yang sangat baik dan menyediakan akses kepada tarikan terbesar di bandar. Untuk pilihan bersiar-siar dan tempat daya tarikan tempatan, pelancong tidak perlu pergi jauh dari hotel kerana ianya berdekatan dengan La Chinata Oleotheque, Muzium Musee Maillol-Fondation Dina Vierny, Deyrolle. Hotel Bac Saint-Germain menawarkan perkhidmatan yang sempurna dan semua kemudahan penting untuk menceriakan pelancong. Untuk menamakan beberapa kemudahan di hotel ini, terdapat Wi-Fi percuma semua bilik, meja depan 24 jam, daftar masuk/daftar keluar ekspres, simpanan bagasi, Wi-Fi di tempat awam. Semua penginapan bagi tetamu menawarkan kemudahan yang difikirkan dengan teliti bagi memastikan rasa selesa yang sukar ditandingi. Sepanjang hari anda boleh menikmati suasana yang santai dengan taman. Dengan lokasi yang ideal dan kemudahan sepadan, Hotel Bac Saint-Germain sangat memuaskan hati. Does not deserve three stars, this is a 1 maximum 2 star establishment. The lift is very small, if you’re claustrophobic, beaware of this. The stairs are narrow and winding. Staying on the top floors could proof for a dizzying trio up and down. My room (53) had a very small bathroom. The toilet is up against the sink and the counter jabs you in your ribs while you’re relieving yourself of ribs and what not. 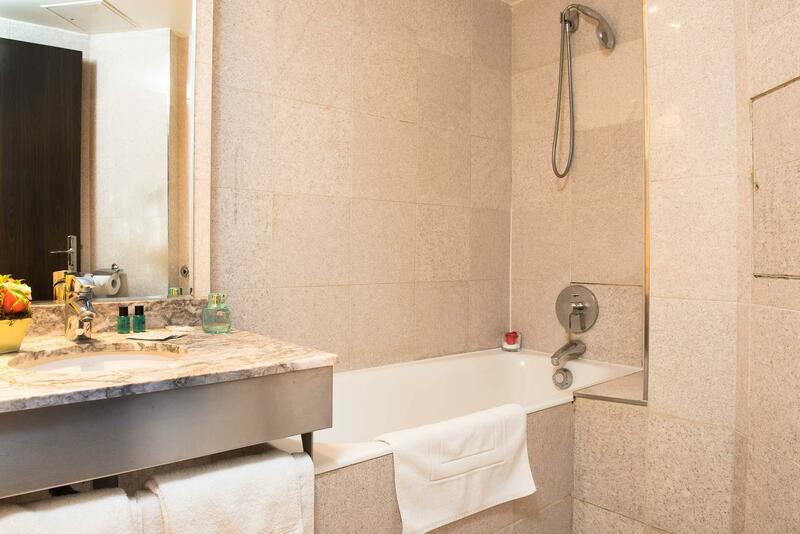 The shower is even smaller and the tub so narrow, sit down to take a shower for fear of slipping. The floors are stone cold but the heat in the room can be stifling. If you open the windows mosquitos may join you rent free. The staff are friendly and accommodating. 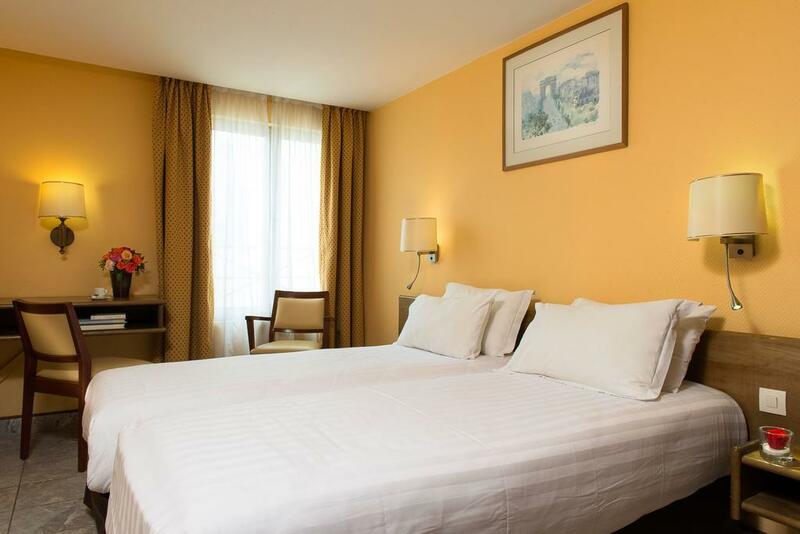 The location is great for D’Orsay and 20-30 minute walks to Eiffel Tower or Norte dame. There’s a metro stop very close and a bus stop right outside the door. Check out L’Antiquries for dinner. Make a reservation or try your luck to walk in. Awesome location! 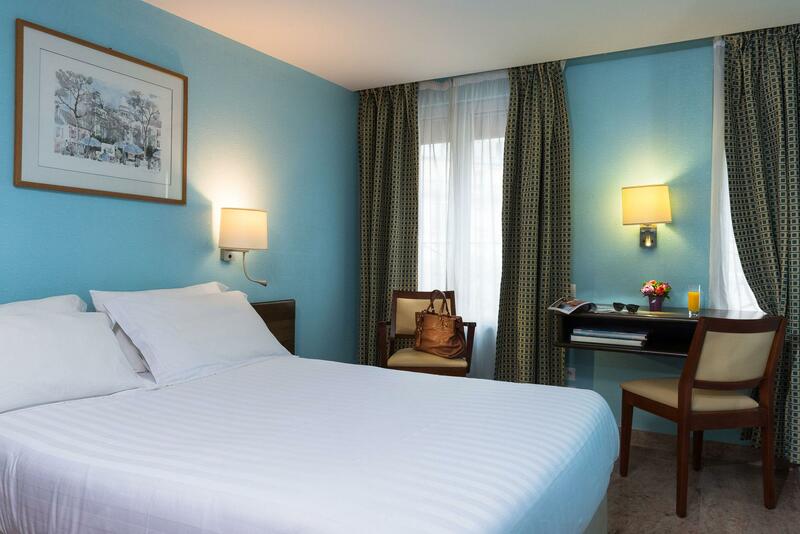 Directly across from the Rue du Bac metro and bus stop for #69 and within walking distance to the Louvre. Room was a good size with comfortable bed and large bathtub. Staff was very kind and helpful; cleaning crew was thorough and reception sent tea up when they found out we had gotten sick. Elevator is small but worked well. The elevator was very tight, but it does not matter. I found the room satisfactory and comfortable. Located very near the Metro exit, it is convenient. The location was nice, but the hotel room was dirty. Our sheets were changed once and our towels were never changed during the 5 day stay. We stayed on the 6th floor and the restaurant was right above us. A lot of noise from moving tables and chairs woke us up very early and the room door are very close to other and you can hear your neighbours TV. Location is pretty good. It's clean. Excellent stay. I was there for an art fair at the Grand Palais so the hotel turned out to be an excellent location for me. Transportation was very easily accessible. Staff was very good, helpful and courteous. If I come again next year for the fair, I will probably stay at the same hotel. Perfectly nice room in a lovely part of Paris. I thought the room was really rather spacious for an expensive city like Paris. Right next to the metro, friendly staff. Perfect for our city break. Would go back. Clean, friendly and helpful staff, location. I had a very good stay at the hotel. I love this part of Paris, aways from the crowds in a friendly street but easy to reach all the attractions. There is a feeling of Parisians living in this area, not full of tourists! the best thing about it is location , in general the entrance is too small and there is one elevator which can carry 2 ppl maximum. Localization, friendly Staff, view of breakfast place. Excellent, the hotel is located in a very nice area, really close to Metro Station and RER Station is about 5 minutes walk. Friendly staff, very helpful. The small place where breakfast is served is perfect, with a very nice view of the city. The room is very small but if you need the hotel just to sleep I fully recommend. Very comfortable bed; great pillows; hot shower. We chose this hotel as we only needed one night's accommodation for a quick sightseeing trip to Paris. The room was basic, but the bed was very comfortable with great pillows. The bathroom was ordinary, with signs of wear & tear, but the shower was hot & satisfactory. The location was fantastic being just 2 or 3 blocks from the river - walk just across the Seine to the Louvre, around the corner to the Musee de Orsay & it was walking distance to many other attractions including the Eiffel Tower. There are also lots of great cafes & restaurants close by, not to mention high end shops. We were very happy with the location. We didn't eat breakfast there so can't comment on that. The staff were very friendly & helpful. Overall, for a short stay (1-3 nights), where you are out sightseeing all day, it offers a comfortable stay in a very handy location.